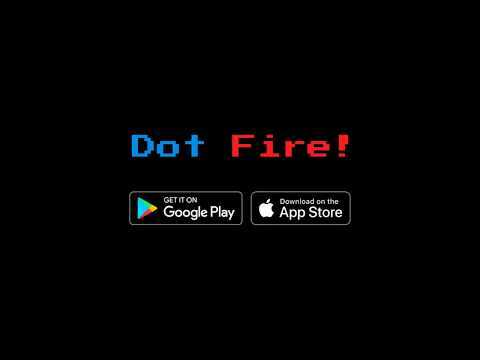 Dot Fire! is an infinite shooter game where the player controls a blue dot, attempting to hit as many red dots as possible. The blue dot falls down rapidly, and moves up only when the player is pressing the screen. Every tap also fires two bullets directed to the enemies coming from both sides. The game is over whenever the blue dot is hit by red fire, or moves out of bounds.